Well, classes are wrapping up at Brown and my official duties as Limnology TA are done. 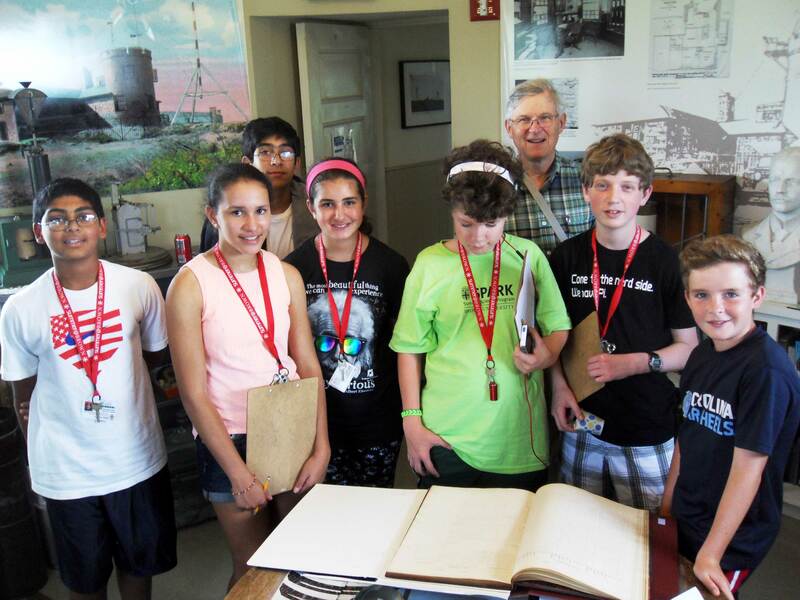 But my unofficial duties aren’t complete until I get some more awesome limno field trip pictures online. The class does two trips to Pout Pond (Belmont, NH) each year. The first trip is in winter (see previous post), and the second trip, shown here, is in spring. This entry was posted in Field Work, Teaching and tagged Brown University, Limnology on May 18, 2016 by williamcdaniels. A view of Kaktovik, AK and the Brooks Range mountains. Stunning. This entry was posted in Field Work, Teaching on November 5, 2015 by williamcdaniels. Map of the ponds within Roger Williams Park (inset shows location of RWP within Rhode Island). We monitor Cunliffe Pond. This entry was posted in Field Work, Teaching on November 1, 2015 by williamcdaniels. This entry was posted in Field Work, Teaching on October 28, 2015 by williamcdaniels. February 19 marked the first annual Brown Science Center Axolotl Day. I know what your thinking. Axolotl Day is a ridiculous concept. Well, you’re right. But, it is also pretty awesome and I was happy to be the guest speaker at the event. Important Axolotl Facts: 1) axolotls are neotenic salamanders native to ponds just south of Mexico City, 2) they have a broad range of color phenotypes because of breeding for laboratory and pet purposes, 3) they are critically endangered or possibly extinct in the wild. Enjoy pictures from the 2015 axolotl day. Axie art competition – the adapted Brown Logo with axolotl sun won the prize. This entry was posted in Teaching on March 9, 2015 by williamcdaniels. A recent scientific report determined that there are more than 117 million lakes in the world (Verpooter et al. 2014). Over 200 of these lakes are in beautiful Rhode Island. Rhode Islanders love their lakes, and to ensure that each lake has water safe to drink and nice to swim in, the water quality of each lake in RI is regularly monitored by an army of volunteers. 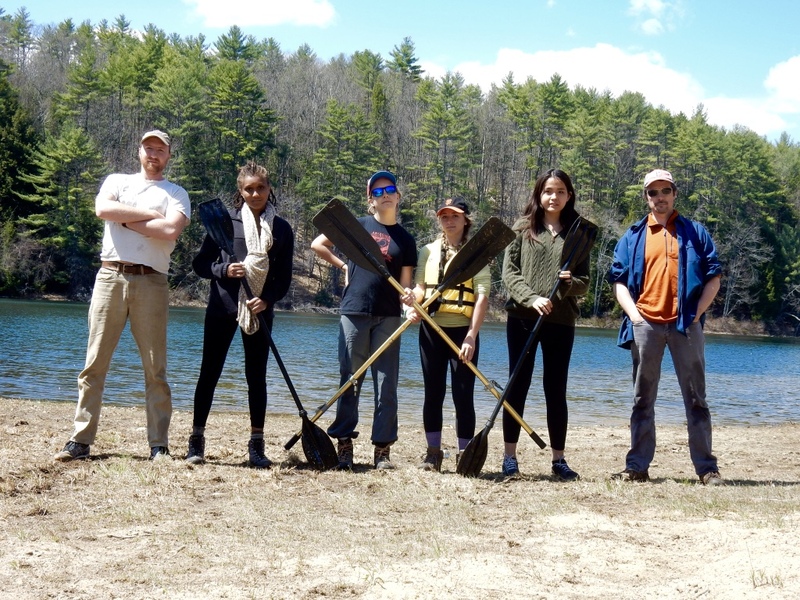 The effort is coordinated by the URI Watershed Watch Program, and one lake, Cunliffe Pond, is monitored by a team Brown University students led by fellow graduate student Marc Mayes and myself. For a full overview of the Watershed Watch program, visit this site. Scroll down to see pictures from Cunliffe Pond. Putting together the foldable boat. This boat has seen a lot of field work over the years and is awesome because it fits under the seats of the department van. Meyrolin and Joe launch the boat on a beautiful morning. Our launching point is the ‘Temple to Music’. 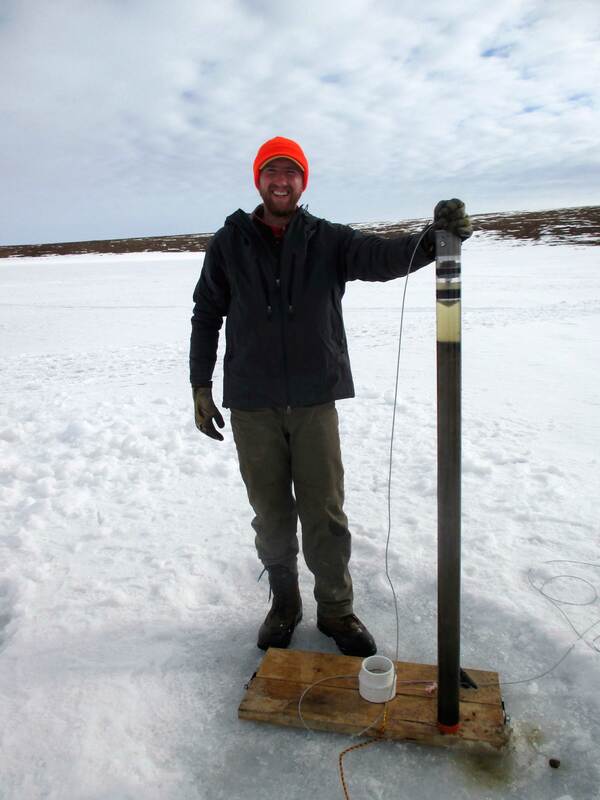 We take water samples for temperature, dissolved oxygen, and chlorophyll from 1 meter depth using this sampling device. Meyrolin capping the D.O. bottle to get a Bubble-Free sample. Joe, a remote sensing technician, uses tubing to collect a phytoplankton sample to test for the presence of nuisence blue-green algae. Here I take another phytoplankton sample from closer to shore. The samples are sent each week to URI watershed extension for analysis. Meyrolin, an undergrad at Brown, filters water for chlorophyll and phytoplankton measurements. Joe using a field-D.O. kit. Dissolved oxygen is a critical indicator of pond health, because fish and other fauna are sensitive to low-oxygen events. A view of the Temple. This entry was posted in Field Work, Teaching on September 14, 2014 by williamcdaniels. Checking out the meteorology ledger from 1889. Spark: a small fiery particle thrown off from a fire, alight in ashes, or produced by striking together two hard surfaces such as stone or metal. This entry was posted in Teaching on July 17, 2014 by williamcdaniels.